A stock aircraft called 1.0 Viper (Battlestar Galactica). Built with 40 of the finest parts, its root part is Mark2Cockpit. 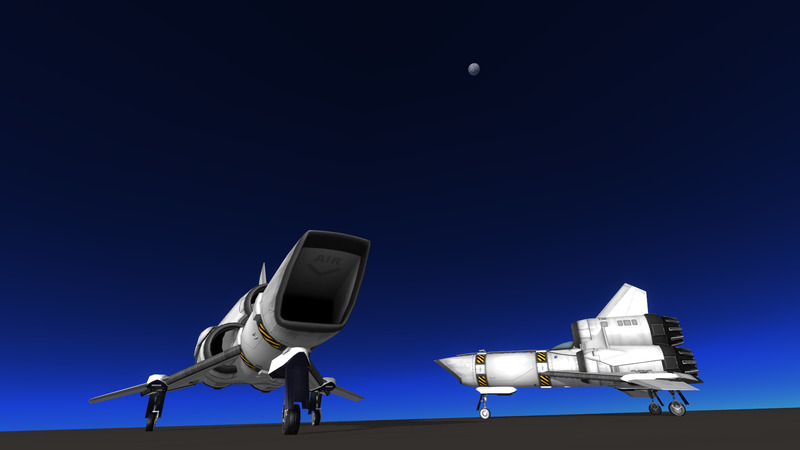 This craft was made by Lukaz from Digital Psychosis and the two pictured were taken to Laythe. Tune in to digitalpsychosis on Twitch to see more.